MANILA, Philippines - Samsung officially announced today, March 1, 2015 (March 2 in Philippine Time) its redefined smartphones, the Galaxy S6 and Galaxy S6 edge during the Mobile World Congress (MWC) in Barcelona, Spain. 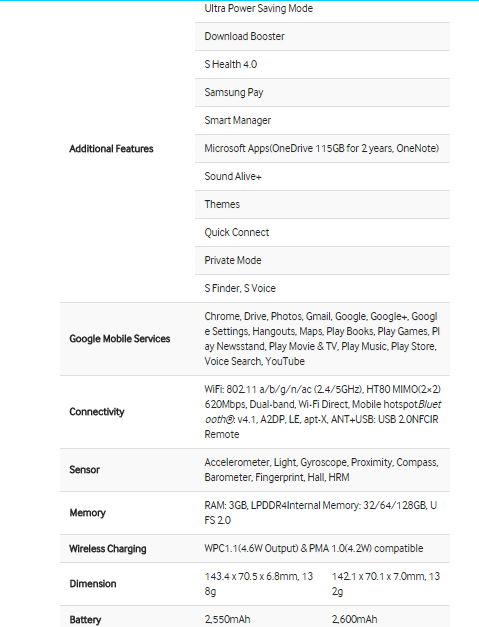 Check out here the full specifications, features, official photos and availability in the Philippines of the new devices from the Korean giant. The new devices were crafted from metal and glass with its design boasts some of the powerful features. The Galaxy S6 edge provides a solid grip and an immersive viewing experience with the world’s first curved display on both sides. Its glass body, made from Corning Gorilla Glass 4, is available in an array of colorful jewel tones, including White Pearl, Black Sapphire, Gold Platinum, Blue Topaz and Green Emerald. 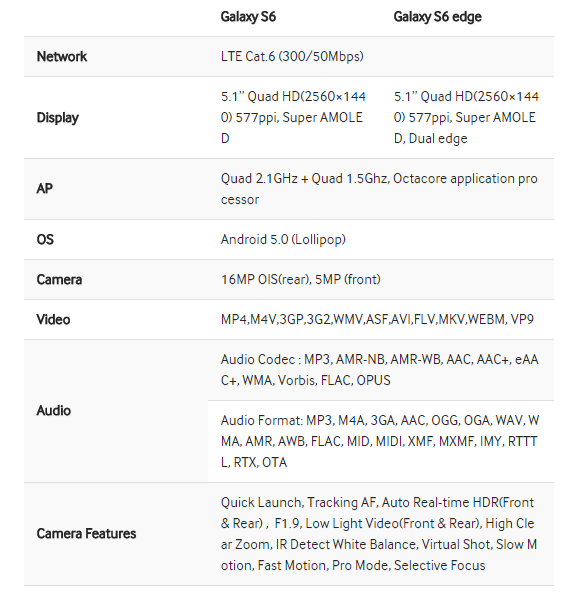 The Galaxy S6 and Galaxy S6 edge are equipped with F1.9 lenses and high resolution sensors on both front (5MP) and rear (16MP) cameras that are expected to provide superior image quality in a smartphone, even in the dark. In addition, Auto Real-time High Dynamic Range (HDR), Smart Optical Image Stabilization (OIS) and IR Detect White Balance provide advanced light sensitivities and crisp camera solutions. Furthermore, a new “Quick Launch” feature give users fast, direct access to the camera from any screen in just 0.7 seconds by simply double clicking the home key button. 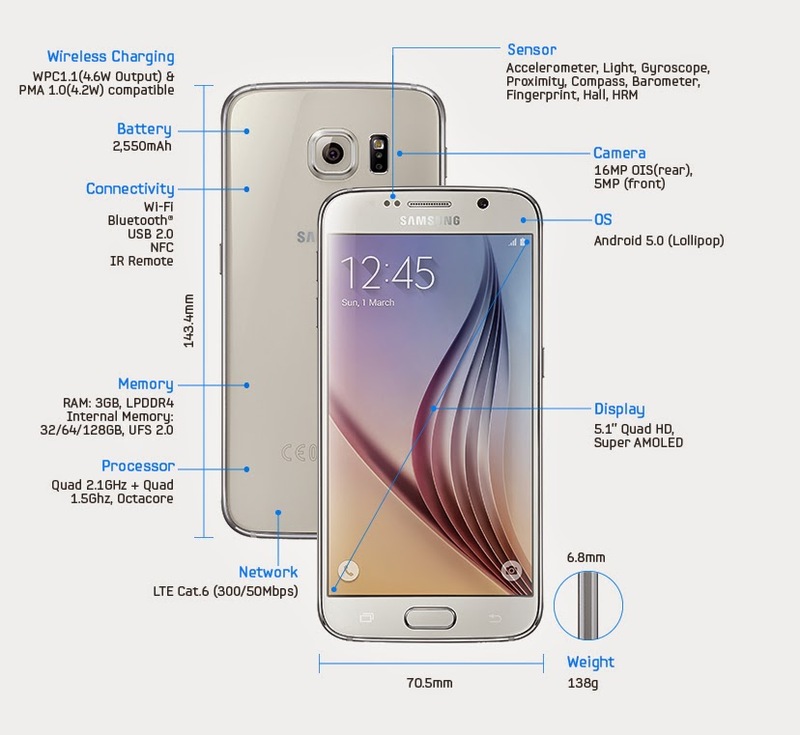 Samsung Galaxy S6 and Galaxy S6 edge also set new industry standard in universal wireless charging with fully embedded WPC and PMA certified wireless charging technology. This means both models are compatible with most wireless charging pads currently available on the market. 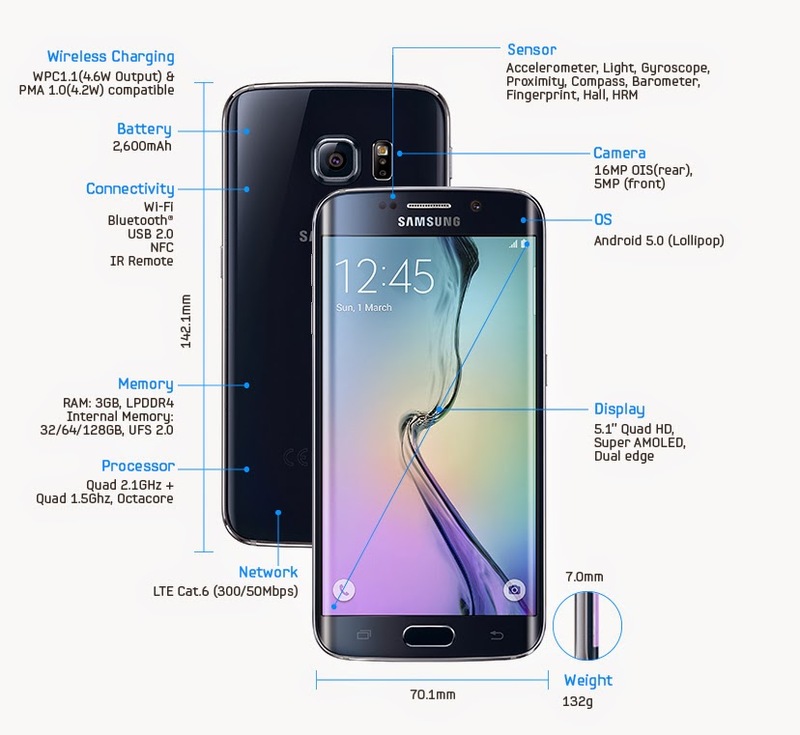 The Galaxy S6 and Galaxy S6 edge support both WPC (Wireless Power Consortium) and PMA (Power Matters Alliance) international wireless charging standards. Samsung newest smartphones were also designed to charge faster – 1.5 times faster than the Galaxy S5. Samsung said that the power consumption of the displays, AP, memory chips and other components of Galaxy 6 and Galaxy 6 edge have been optimized to enable up to 20 hours of use on a single charge. The smartphone will automatically reduces power consumption based on each person’s use patterns. The new flagship devices are powered by the world’s first 14nm mobile processor with 64-bit platform, new LPDDR4 memory system and UFS 2.0 flash memory that provides higher performance and enhanced memory speed with lower power consumption. Reports said that Samsung Galaxy S6 and Galaxy S6 edge will be available worldwide on April 10 (earlier or later in the Philippines), in 32GB, 64GB and 128GB variants, in black, white and in a special blue edition. Samsung Mobile has no words yet for the official pricing in the country. 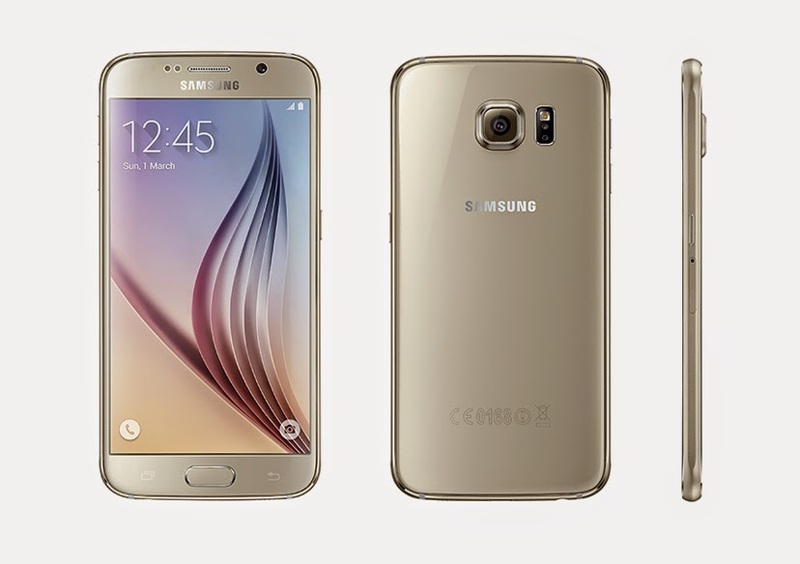 TheSummitExpress will update this page for the official pricing and availability of Samsung Galaxy S6 and Galaxy S6 edge in the Philippines.